@truehawk93 KU doesn’t have to be the best team in the tournament, just the better team on floor 6 times. @loyolstud88 Blue blood killer is cute, come back when you beat one. RE: Has Bill Self Lost This Team? @Kcmatt7 Self knows exactly how to coach young guards. They just don’t become finished products right away. Mason and Graham each took until their third years to become elite guards. KU and Beaty need to do everything in their power to keep Tony Hull because as long as he’s at KU, that pipeline KU now has into New Orleans is going to stay open until for KU until Hull is no longer here. Louisiana is just an entirely different culture from the rest of the country and these guys aren’t joking about the family atmosphere having a huge influence on their decisions. I know @wissox and anyone else including myself who have spent a significant portion of time in Louisiana will 100% back up this claim about the loyalty of Louisiana people being accurate and Hull has the loyalty of HS coaches and players all over the New Orleans area specifically. Landing Tyriek Starks was the beginning. The connection with Hull was made during this recruitment because Starks played at Warren Easton under Hull. Reggie Mitchell then leaves for Arkansas and KU has a need for a new RB coach. Beaty takes a calculated risk by bringing in Hull in an attempt to get some players out of Louisiana. Almost immediately, Hull gets commitments from Mike Lee and Malik Clark (Clark is also from Warren Easton) and then gets Lee to enroll a year early at KU. In his 1st year, Hull also lands Travis Jordan and Takulve Williams both from the New Orleans area as well. In a little over a year on the job, Hull brings in 4 Louisiana players, one of whom gets a chance to play early. Getting players from Louisiana to visit KU is a big enough deal which hiring Hull allowed KU to at least talk to players in Louisiana. Seeing Mike Lee emerge on the scene however is a game changer for KU in Louisiana. Without the success Mike Lee had last year, KU does not land any of the Louisiana recruits that committed yesterday, at least not early like they did. They probably go home and tell their younger teammates about how nice KU is and that keeps the line of communication open with Louisiana prospects for Tony Hull. Lee’s success is a game changer because it shows these kids that they can come in and be successful very early on at KU instead of having to sit and wait behind other 4 and 5 star guys at LSU. If Daylon Charlot comes in and has early success and if Tyriek Starks wins the QB job, the floodgates will be fully open for KU to talk to any recruit in Louisiana they want to and to have a legitimate chance to sign those players as well. What KU did yesterday in getting commitments from Jason and Harris (3rd and 4th best players in Louisiana with offers from LSU, Alabama, and basically everybody in the SEC) is something that has definitely caught a lot of people off guard including everyone who follows KU football. We knew Hull would allow KU to talk to some players out of Louisiana, but to actually land commitments from players the caliber of Jason and Harris is something I don’t even think Tony Hull thought was possible at this stage in the game. Don’t be surprised to see KU land possibly 3, maybe even more recruits out of Louisiana this year. Warren Easton has a couple of 3 star prospects who we know Hull has a relationship with and there’s a DE out of Baton Rouge that KU is the favorite to land. Lightfoot is also playing way out of position as well. He’s being forced into being a low post player on both ends of the floor when he’s never had that role before. The guy is a stretch 4 and is being exploited in major mismatches because he’s never guarded the position before. Clay Young has been better on the defensive end because he was a post at his JuCo even at his size. He understands the role and what’s required of the role much better than Lightfoot does. I’m not going to rip in Lightfoot for this because none of it is his fault. He didn’t make Coleby transfer, he didn’t make Whitman transfer, he didn’t make Preston sit out because of a car. We all know Lightfoot isn’t ready for this role, but he’s the only option at this point. This situation is why Self is trying to get DeSousa enrolled early and it’s why Sosinski was added to the team. KU needs to work on developing Sosinski over the next 3 weeks which KU only has 3 games during that stretch. Work him into the rotation this week, let him make his debut against Nebraska, give him some big minutes against Omaha as a trial run, and if that goes well, let him sub for Azubuike against Stanford and see how that goes before Texas on the 29th. If the Preston situation gets resolved in a positive manner by that time, then swap Sosinski out for Preston. Either way, KU needs to find a way to get Lightfoot back to the stretch 4 spot because him as a low post player doesn’t work. Graham absolutely willed this team to victory in the second half today. Really didn’t think this would happen about a month ago. @Gorilla72 West Virginia is 8-9 this season. They are really bad team this year and they’re going to be without Konate again I believe so they won’t have any rim protection. This is Huggy’s worst team in a long time. It’ll end up being Dotson eventually. His issue though is that he doesn’t have anyone to teach him how to be a leader at this level. That was also why Mason and Graham struggled early on as well. When Self got here, he already had Aaron Miles who learned how to lead from Hinrich. Russell Robinson came in and learned from Miles how to be the leader. Robinson in turned showed Sherron Collins the ropes who then mentored Tyshawn Taylor. This is where the breakdown in that line happened. In 2010, KU landed Josh Selby and Royce Woolridge. Selby obviously had his issues and should’ve stayed another season at least. Woolridge was always a project player and never panned out. Woolridge was likely supposed to take the reigns from Taylor after the 2011-2012 season as either a junior or RS sophomore. The 2011 class was a disaster because Self for whatever reason never had a plan for the Morris twins leaving early even though it wasn’t much of a secret that was a possibility. Still Self landed Naadir Tharpe out of that class after it became apparent Woolridge was never going to develop and Tharpe was supposed to be next after Taylor at the point. The transition from Taylor to Tharpe is where the line of PG’s at KU was broken because of Tharpe’s issues. In 2012, KU didn’t land a PG and 2013 is when KU landed Mason who spent one year under Thapre who wasn’t a leader in any capacity and KU lost 10 games that year despite having Wiggins, Embiid, and Selden as well. When Mason took over as a sophomore with Graham as a freshman, that’s when KU had was really hurt because Mason and Graham were having to learn for themselves how to lead a high level college basketball because they didn’t have anyone to mentor them. Mason was under Tharpe for a season, but when the guy who’s supposed to show you how to be a leader gets kicked off the team, Mason didn’t have anyone to teach him. The 2015 class ended up a disaster with Diallo and Bragg not making it past year 2 (or 1 in Diallo’s case) along with Vick who might go down as the biggest disappointment among 4 players under Self along with Elijah Johnson (I don’t share you opinion on EJ and never will). As Mason and Graham keep learning and getting better, there should’ve been another PG in either the 2016 or 2017 class to develop and take the reigns after Graham left in 2018, but it didn’t happen so Self had to get what he could which led to bringing in Charlie Moore in 2017 as a transfer and hoping he could land PG 2018 to develop. Obviously, Self landed Dotson in 2018 who’s the highest rated PG Self has landed since Sherron Collins and looks like he’ll be a great PG one day and already is the best freshman PG KU has had since Collins. The problem though is Dotson doesn’t have a mentor to show him how to take control of his team. Dotson is learning on the job how to lead his team and there will be bumps along the way. KU lost 9 games in Mason’s first year as a starter. This group has 3 wins over current top 15 teams all on neutral courts so the potential is definitely there whenever the light comes on. Hopefully this core comes back in tact next season and gets 3 years together because I could see a lineup in 2020-2021 of Dotson, Grimes, Agbaji, Garrett, and McCormack being a serious title threat. It’s also not unreasonable or unrealistic to see that line up in a couple of seasons with 4 juniors and a senior in the starting line up. This group has huge upside, they just have to go through the same growing pains Mason and Graham and that group had to go through because there isn’t anyone to show this group how to lead. Hopefully Self lands another top level PG in the 2020 class that can sit behind Dotson for a tear and learn under a junior Dotson before taking over in either 2021 or 2022. KU had a bad season by KU standards. Look at what KU accomplished with 7 first year players in the program. 26 wins, 12 conference wins, 3rd place finish, runner up in the conference tournament, and a top 4 seed in the NCAA Tournament. 99% of D1 programs would call that a great season. At KU, we call that a bad season. The last time KU did not receive a top 4 seed in the NCAA Tournament was the 2000 tournament. Think about that, KU has been a top 4 seed for 19 straight NCAA Tournaments. There’s only 6 other NCAA programs that have ever made that many NCAA Tournaments in a row (UNC, Duke, Arizona, Michigan State, Gonzaga, and Wisconsin) and none of them were a top 4 seed every season. KU’s down season is still better than any other blue bloods down season. UNC and Kentucky have each missed an NCAA Tournament this decade. KU’s valley’s are most programs peaks. @clevelandjayhawk My favorite part is that Self says Diallo forces everyone to play at a higher tempo. This is the area where Bill Self has never taken advantage of the talents of his team at KU. KU is annually more athletic than all but a handful of teams out there, but we frequently see Self prefer to play games in 50’s and 60’s which allows inferior teams to hang around and have a better shot at upsetting KU. I would love to see KU regularly play in the 70’s and 80’s and take more advantage of their athleticism and play at a faster tempo. @HighEliteMajor Just drop the holier than thou, I’m smarter than you crap. That’s why people call you disingenuous. You make your points in ways that you come across as a smug, arrogant, a-hole who assumes he’s the smartest man in the room. Try showing some humility instead being a condescending jackass to people. Whether or not the way I’m characterizing you right now is truly your intent or not, that is the tone that comes across on here and it doesn’t accomplish anything productive to try and prove you know more than Self. For someone who claims to agree with 90% of what Self does, you sure as hell critize him for anything that doesn’t line up with your opinion and appears to be way more than 10% of the decisions Self majes you take issue with. I haven’t read your macri/micro thing yet, but I can make a pretty reasonable guess what’s in it. I might be reaching here, but I would guess you didn’t talk your opinion vs. Self’s. We all know you live in the macroverse of player development at the expense of a few more losses throughout the season. We also know Bill Self lives in the microverse of trying to win every game at the expense of player development at times. Your criticism of Self for having a different view and approach to coaching philosophy is like a Christian expecting a Hindu to live by Christian teachings and then critizing the Hindu for not living up to Christian standards. I said last year that Bragg simply wasn’t strong enough to be a good rebounder and his numbers last year backed that up. He was a terrible rebounder relative to his size last season. This year, he’s added muscle and he no longer gets rag dolled in the paint and he’s become a good rebounder. On offense, he’s still playing like a 6-8, 220 lb. player who’s afraid of contact and short arms a lot of his bunnies instead of the 6-10, 240 lb. player he is today that’s more than strong enough to play through contact and finish strong. Whenever that starts happening for Bragg, that’s when he’ll start becoming a potential lottery pick. I’m glad he’s no longer a softie on defense, but I’ll be even happier once he’s no longer a softie on offense and starts playing like the biggest kid on the court which he’ll be most of the time he’s on the floor. This is not the best comeback. That honor belongs to the 2008 Jayhawks who came back from 8 down with a little over 2 minutes left to force OT against Memphis in the national title game. That game will always be the GOAT for KU comebacks because it was in a national title game. Bill Self is officially a Hall of Famer now. He’s headlining this class along with Tracy McGrady which is cool for me KU who has lived in Houston for most of my life and have both play/coach in person countless times each. AAU is what’s wrong with basketball in the US right now. It doesn’t prepare players to succeed at higher levels and mostly serves to bring out the worst in players and coaches. There needs to be a major overhaul of prep basketball so that kids are learning skills that will gp them in college and the pros and so the coaches and players can be held accountable when they act like whiny little babies. This is a link with a bunch of different charities in the Houston area to help with different needs in the recovery efforts here. Houston food bank is in there, some homeless stuff, Texas Children’s Hospital is in there, pet and wildlife stuff is in there, just a variety of different organizations that provide varied services. I know this isn’t everything, but it’s a good list of charities with a variety of causes if there’s one you feel a special attachment to. @elpoyo Why pass on a walk on and who the hell cares what his skin color is? He gives KU another body for practice and a full 3rd team for garbage time minutes. This is a kid who’s likely passing up an opportunity to be on scholarship at a much smaller school and actually get meaningful minutes to pay his own way and maybe play 50 minutes over 3 years at KU. From what I’ve seen of elpoyo on here, he seems to have quite a bit of troll in him. @HighEliteMajor I’m the exact opposite on feeling bad for Selby and Embiid. I don’t feel sorry for Selby because all of his problems were self inflicted because he was too stubborn to realize he needed a second year of college. I do feel bad for Embiid because his issues haven’t been self inflicted. His foot issues are the result of him just being bigger than his body can handle and that’s something that has ended many great big men’s careers and Embiid appears to be the latest victim of this. @drgnslayr If you my honest opinion right now, here it is. Defeatist attitudes like yours are exactly what’s wrong with Kansas football right now. David Beaty has coached 2 damn games here and people are already calling for his head or completely giving up on the program despite everyone knowing ahead of time this was a year where 2 wins would’ve been considered a great season. Anybody who thought this was a quick fix doesn’t know a damn thing about football. Is Kansas football the easiest job in the world? Absolutely not and people like you who take the attitude you’re taking right now are why KU is one of the worst programs in the country. I obviously don’t have enough money to make significant changes to the football program, but whenever I do donate, it is specifically for the football program because that’s where the most help is needed, yet KU donors have their heads too far up their own asses trying to make a name for themselves with KU basketball to realize that KU football is what’s going to determine which conference KU basketball plays in 10 years from now. People at KU care so little for football that the football program couldn’t even raise the money to build the suites on the east side of the stadium in 2008 right after they won the damn Orange Bowl. So if you wanna bail on KU football, you go right on ahead an do so. Just don’t be one of the ones bitching about KU basketball not being in a major conference 10 years from now. @JRyman and @HighEliteMajor The back and forth y’all are doing right now is why this site was created. There was/is way too much of this crap that goes on at KUSports and why many of us no longer post on a consistent basis over there. @HighEliteMajor Nobody is going to dispute that you do have a solid knowledge base, but you do have a tendency to present it in a holier than thou manner and act offended when others use a different way of evaluating a player than you do. Just like you tells others there’s different ways to succeed on the court when you question Self, there’s other ways to measure a players impact than advanced numbers, but you consistently shoot down their opinions because they don’t use the same method you use of player evaluation. I do think it’s interesting that you would use how a murder trial works as an example. You bring up that circumstantial evidence is how a conviction is reached because there’s not always empirical data to prove a person murdered another person. Yet you choose to challenge those and try to discredit those who use circumstantial evidence to form an opinion on Traylor because they don’t have the time to dig into the stats beyond the box score. I don’t know which site you use to get your advanced numbers from, but there is one advanced number I would be curious about and that is KU’s +/- with Jamari on the court. I don’t know if any site tracks that stat at the college level, but that is a great way of measuring how a player who’s own numbers may not statistically impact positively, but being on the floor just makes the team better. I know Traylor’s personal stats aren’t great, but when he plays with high energy, the circumstantial evidence suggests that KU is a better team and that’s something a +/- stat would indicate. Landen’s foot is the issue with his dip in play. Sit him until Stanford at least (including practice), that gives him 10 days off to rest his foot or Self could probably even get away with resting Lucas until conference play starts and Stanford would probably be the only game KU would be in any kind of danger of losing. I think Bragg is still learning how to play with his new body because he added a lot of muscle and he’s still playing like the kid who got shoved around by everyone last year. I think it’s just a matter of time before the light comes on for Bragg. Udoka is going to be inconsistent because of his age, but in games where he goes full on beast mode, that’s going to be fun to watch. Coleby and Lightfoot are going to be guys who get DNP’s on occasion because neither one at this point are capable of contributing significantly in long stretches. Lightfoot looks like he has Kevin Young potential, but with regular roster depth and talent, that’s an energy guy off the bench. KU has had a brutal travel schedule that I’m sure has meant they aren’t practicing as much as Self would like and now that KU will be in a more normal routine (they aren’t sleeping in different beds until they play UNLV in a month). Now is when we should start seeing the real development happen. KU finishes the 2016 season at 2-10 with a 1-8 record in Big 12 games. KU still hasn’t won a game outside of Memorial Stadium this decade. I’ll start with the negatives so I can end on a high note with the positives. QB play was absolutely awful for most of the year. Cozart and Willis were just terrible and neither one should ever take a snap under center for the Jayhawks again. Based on the current QB situation, I really wouldn’t be surprised if Ryan Willis transfers to a school that better fits him because he was recruited to run the Charlie Weis pro style offense and not the Air Raid. KU also needs some depth at RB because Herbert and Martin won’t cut it next year. KU needs at least 2 more guys to step up and take some of the load off so Martin and Herbert don’t get worn down halfway through next season. The OLine play was also very subpar for most of the season, but this was also a very young and inexperienced OLine that will return 4/5 starters from the KSU game. RT De’Andre Banks was the only senior on the OLine and Ribordy, Hughes, and Adeniji are all freshmen or sophomores. The OLine will be better next year simply because they will have another year in the weight room and a spring to work together. Being able to stick Charles Baldwin from Alabama in the OLine (presumably at LT and move Adeniji inside) should also be a big help to the OLine. On defense, a lack of depth killed the defense this year, but there is no quick fix to that problem. Losing almost the entire secondary is going to be tough, but KU also returns 3/4 of the starting DLine including Dorance Armstrong who’s going to get of DPOY votes this year and should be 1st team All-Big 12 this year. Daniel Wise has also really started to blossom as well this year so that should help cushion the blow the secondary is taking this year. The other thing that needs to happen is Beaty needs to take a couple of hats off. Rob Likens is a good coach, but he can’t coach QB’s so Beaty needs a real QB coach who has a track record of developing QB’s. Jason Philips as coordinating experience at SMU so I would promote him, let Likens go and bring in a dedicated QB coach/co-OC with Philips. Beaty needs to delegate these responsibilities and just let his coaches coach since that’s what he hired them for. I feel like this issue is common to people who are new head coaches and we’re seeing it with Beaty being too much of a micro manager to reach the level of success he wants to reach at KU. It will be Beaty’s ability to learn from these mistakes that will ultimately determine whether he can keep a staff together long enough to build success. Defense, defense, defense! For those who had been calling for Bowen’s head before the year, this year is why coaches need 4-5 years to determine how good they are. Bowen is now in year 4 of running the same defense and we all saw that despite what the numbers say, this was a good defense this year that kept KU in several games KU had no business contending in. Depth is still an issue and will be for at least 2-3 more years because of Weis, but Bowen has the defense headed in the right direction and with some help from the offense, we could see this defense actually rank in the top 50 statistically in the near future as well. Dorance Armstrong is special. He is going to go down as KU’s best DLinemen in a very long time, since at least James McClinton. Joe Dineen is just a gamer and I can’t wait to have him back next year. Mike Lee is also going to continue the tradition of KU being DBU. Even during these dark ages, Bowen has been churning out NFL caliber DB’s (Chris Harris, Bradley McDougald, JaCorey Shepherd, and Dexter McDonald) that will be able to add Fish Smithson’s name to that list as well and Mike Lee is going to be the next one in line. On offense, we have game changing WR’s in Steven Sims and LaQuvionte Gonzalez and adding Daylon Charlot to the mix next year will give KU 3 legitimate weapons in the passing game. KU does need Chase Harrell to step up as a 4th option to give KU a big WR that can go get jump balls because Sims, Quiv, and Charlot are all 6-0 and under guys who are better in the slot than on the outside. Montell Cozart could also be an intriguing possibility as an outside receiver to stretch the field. I actually do like the QB situation going forward for KU with Peyton Bender, Carter Stanley, and Tyriek Starks as the 3 guys fighting for the starting job. Best case is Starks wins the job because he brings a true dual threat nature to the QB position that Bender and Stanley don’t. Bender is a true pocket pass who was supposed to be next in line at WSU behind Luke Falk. Stanley to me is the perfect back up because he doesn’t make many mistakes and can come in a manage a game and keep the offense moving. KU will also still have Keaton Perry and Deondre Ford as the 4th and 5th QB’s should something insane like 2015 happen again at the QB position. I’m also high on the OLine. I think 2018 is when we’ll the OLine really blossom, but KU is returning 4/5 starters next year and 2 were freshmen and 1 sophomore this year so they were very young. KU also gets Charles Baldwin the Alabama transfer next year along with Bragg and McCauley who each played quite a bit this year as well so there’s potential with the OLine to start taking some big steps forward in the very near future. I believe KU’s schedule next year in the non-conference is SEMO, Central Michigan, @Ohio so KU should a decent chance at starting the year 2-1 next season as I think KU will be to the point they can beat a SEMo team that went 3-8 this year and a CMU team that went 6-6 and should’ve been 5-7 if it wasn’t for the refs screwing up the end of their game with OSU. I also think Baylor is going to struggle next year, KSU is sliding into irrelevancy, we’ve gotten closer to beating TCU every year since they joined the league and an OT loss or KU win is the trend there. That’s not even factoring in ISU and Texas Tech who should both be near the bottom of the league with KU next year. I can see KU winning anywhere from 4-6 games next year dependent upon the QB situation and either Bender or Starks being the clear cut winner or at least both of them clearly being ahead of Stanley. KU football is trending upwards and next year is when we’ll see KU finally end the road losing streak against someone (Ohio, TCU, and ISU being the most likely games) and also not finish in last place like they have all but one year post Mangino. @Lulufulu Are you comparing Jackson’s defense to Rush as a freshman or junior? Junior Rush was better than Jackson is, but Jackson is a better defender than freshman Rush was though. RE: So What's Your Opinion? Did KU and UT Leave It All on the Court for 40 Minutes? Or Did They Conserve? I think what KU did today is what Self would like to do every game. Build an early, and be able to allow the team to play a slower tempo and blow teams out. I know we’d all like to see KU win every game by 20+ and have Tyler Self and the rest of the EoB guys a few minutes a game, but that’s not going to happen with this team. Self is going to have to rest guys by having KU go on short spurts like 8-0, 10-2 or something similar instead of the 20-5 type runs we’re accustomed to. It takes less energy for these short spurts and this team is good enough offensively to keep opponents at arms length without losing. It’s basically the same philosophy Self used in 2012 when KY and Teahan were the bench and KU won a bunch of close games. So basically, I think Self is buying rest by getting KU up into a 12-15 lead range, then take some possessions off and let teams get back to within 4-5 points, rinse, and repeat. RE: What's Up With Not Rebounding Our Free Throws? @stoptheflop Keeping Kentucky out of their transition offense was much more important because they struggled with their half court offense all night long. KU was not going to win a game against Kentucky in the 80’s or 90’s. Keeping the score in the 70’s and lower was what KU had to do to win. Self sacrificed offensive rebounding all night to get his team back to prevent Kentucky from getting their transition offense going. Here’s all I have to say about Josh Jackson. Big time players make big time plays in big time games. RE: Would Self Be Able to Recruit More Talent and Depth, If Self and KU Shifted from adidas to Nike? I’m of two minds on this issue. My first issue would be where would KU be in the pecking order for Nike? My second issue would be are we talking short term or long term here? 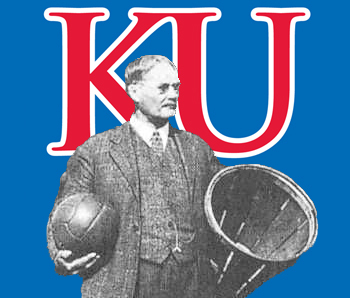 Short term, Nike would be preferable even if KU is 4th or 5th in the Nike chain. Long term, I think Under Armour might be a better option. American company who’s putting emphasis on basketball right now. There’s also much room to grow and KU would likely be the face of UA college basketball with UCLA. KU would be 4th at best with Nike behind UK, Duke, UNC, and possibly Oregon for funneling players. I don’t like Adidas long term because soccer will always be their top priority with them being a German based company. I’m fine with Adidas short term because KU is their flagship program. If Nike would bump up KU to #2 after Coach K abd Roy retire, I would jump to Nike ASAP, otherwise I think Under Armour is the better long term option for KU to become their top program. RE: Bill Self's "Big Ego," prohibits the Border War. @HighEliteMajor Nebraska was not the first domino, Missouri was. Nebraska may have been the first ones to actually leave, but Missouri is the one who started the whole thing by talking to the Big 10 in the first place. The Big 10 turned Missouri down and offered Nebraska instead. That’s not Nebraska initiating the dominoes, that’s Nebraska being in the right place at the right time to capitalize on Missouri’s screw ups. Only in your mind is KU the chicken for refusing to play Missouri. Missouri is the one who walked away (changing conferences), they’re the ones continuously trying to bait KU to restart the series (showing their bitterness). KU’s stance is that Missouri made a decision and has told Missouri to deal with those consequences, one of which is no longer getting to play KU in scheduled games. They don’t like it so they are showing their bitterness and short sightedness by begging for a game. Why would KU want to restart the series on Missouri’s terms in the first place? All that says is that Missouri has the power in the relationship and KU has none. This series will restart on KU’s terms, not Missouri’s terms because Missouri has given up all power in the relationship by acting like spoiled brat that will say anything for attention and KU will not give them the attention they want. Something I would be curious to see is how many national titles KU would have if KU had the this run in the 60’s and 70’s and the Wooden era Bruins went on their run in this era. Prior to 1975 (Wooden’s final season), only conference champs made the NCAA Tournament so there was much less competition in the NCAA Tournament in the Wooden run. What could KU do in an NCAA Tournament with only conference champs in It? How many fewer titles would Wooden have wokn if UCLA had to run through 64+ teams that weren’t exclusively conference champs? RE: Adidas more aggressive in college basketball? Everybody needs to remember that Gatto was hired by Adidas from Nike. Based on the magnitude of this scandal, I don’t think it’s much of a stretch to assume he was doing similar things while at Nike as well. Malik Newman traveled on those FT’s, hehe! Hawks whipped their nuts out loud and proud to swing for all to see tonight! Those were some of the biggest cajones I’ve seen in a very long time from a KU team. This is one of the most impressive wins by any team in the country this year. Forde’s Missouri bias is showing. He should be worried Cuonzo Martin and how he landed Porter. RE: Listening to K-State Alums in the next booth. I think I’d enjoy beating KSU for a 4th time this year. RE: Man will this week ever end? I will hopefully be driving over to San Antonio tomorrow afternoon. I already have my ticket for the game on Saturday so I’m insanely excited about that and got a hotel room in San Antonio for under $150. @Fightsongwriter Vick is not Keith Langford. Langford was playing for top division teams and occasionally inquired about by NBA teams. Vick will end with 2nd and 3rd tier teams in Europe. Probably, but at last check, 14 is more than 1. This is the same fanbase that made a DVD in football about their “Decade of Dominance” which included just one B12 title while during that same time frame, fellow B8/B12 school Nebraska won 3 national titles in 4 years while playing for a 5th title and Oklahoma also won a national title. They will be insufferable and make a Blu Ray about this season regardless of what happens in March with them. The guys with flaws are not improving. And our top players are not as good as the Duke or NC players since 08, except for Joel and he was an accident. Getting spanked in the tournament repeatedly has to mean that there is a crucial flaw somewhere. Wofford lost to KY but they did not get embarrassed. The flaw in Self’s defensive philosophy is that it hasn’t evolved with college basketball. When Self got started, shooting 50% of your shots as a team from 3 wasn’t common. Basketball has evolved to where that’s fairly common even among major conference teams, but Self still focuses on defending the rim instead of evolving to defend the 3 point line first. Self needs to change to an outside-in defensive philosophy instead an inside-out emphasis. @jayhawkcsg What reason is there to bad mouth Moore? He came here, wasn’t a great fit and is now moving on again. Moore didn’t do anything in his two years in Lawrence to embarrass KU or himself so there’s no reason to rag on him not being the player Self hoped he would be. Time to move on and wish Charlie the best wherever he ends up. I assume this means he was hoping Poythress and Ulis were going pro as well then. I know if I was the AD at Kentucky, I’d be pretty ticked off right now. I assume Kentucky pays Calipari to try and win national titles and not send players to the NBA, but I could be wrong about that one. This emphasis is also a pretty strong sign that Cal’s heart is in the NBA right now and he’s waiting for the right situation to head back to the NBA. RE: whats up with Vick? @HighEliteMajor No, I’m not smoking weed, but I’m wondering about you right now. There’s two things about your rationale right now that don’t line up with how I’ve known you to think. You were very critical of Bill Self forcing Andrew White III out last year (for who turned out to be Svi) , and now you’re advocating that Bill Self do exactly that (I’m guessing to Greene based on your 2016-17 roster) this offseason. Why the 180, is it personal bias for White and personal bias against Greene? You yourself called 2016-17 a POTENTIAL title contending team. 2015-16 IS a title contending team. You proposed a lot of what if’s to make KU a title contender in 2016-17 compared to the reality that Mason, Graham, Selden, Greene, Bragg, Lucas, Coleby, and Vick. Svi is currently a projected mid 1st round pick on multiple credible projection sites so he’s not a guarantee for 2016-17. Using what if’s to justify kicking a player off team that is currently a title contender to bring in someone to help a team that might be a title contender is very flawed logic, especially for someone like you. I get you’re a big fan of Chukwu, I was a big fan of Williams, but Williams isn’t coming to KU and nobody on this team should be sacrificed to make room for Chukwu no matter how big your man crush on him is because nobody in the frontcourt is eligible to transfer and KU doesn’t have the depth in the backcourt to sacrifice someone for a player who won’t help KU on game nights in 2015-16. @blackmild33 I know Vick has announced for 2015, that was my point in my post. People are still trying to justify kicking someone off the team and bringing in Chukwu now that KU’s scholarships are filled and I think it’s a stupid at this point to do that. RE: Most Improved Jayhawk: Not Even Close!!!!! @drgnslayr Self’s offense has always run its best with two ball handlers on the floor. He just hasn’t been able to do it very often the past 3 years. We saw it more last year with Mason and Graham getting minutes together, but those were rarely extended minutes. This is where Svi becomes very important because he’s always been hyped as having good handles and showed that he was competent enough last year to be the secondary ball handler. Having Mason, Graham, and Svi allows Self to play Selden at the 3 more which is where he has been excelling so far. @Lulufulu I don’t think it has any impact, but even if it does, KU could end up playing up to 15 ranked games before the NCAA tournament. Michigan St., Kentucky, Iowa St., and Oklahoma are projected preseason top 15 teams, SDSU, Baylor and Texas are all possible preseason top 25 teams and could all be ranked by the time KU plays them. In Maui, Indiana is a consensus top 25 team and UCLA is on quite a few preseason top 25 lists and I’ve seen St. John’s on a couple as well. It’s possible KU could play 15 games against ranked opponents prior to the NCAA tournament and will probably play north of 10 for sure this year so even if Chaminade counts against the RPI, KU’s schedule is strong enough that it shouldn’t be an issue. @KUSTEVE UNLV still has to beat UCLA first and I don’t think they’ll do that. UNLV has underachieved quite a bit the past couple of years and that’s probably not going to change much even with the class they brought in because Zimmerman doesn’t have much interest in using his size to his advantage and would rather play away from the basket. Should they meet, Diallo is going to own Zimmerman just like he owned everyone else at the all star games in the spring. This Maui field really isn’t very top heavy, but does have a lot of decent teams in it. There really isn’t a reason why KU shouldn’t win this tournament and possibly by double digits all 3 games. KU really is that much better than everyone else in the field on paper and they finally showed a killer instinct in Korea to shut down lesser teams late. RE: HUDY'S IN CHARGE NOW. Re: Frank–which is more important to his leadership: shooting 43% from Trey, or being a good communicator with his teammates? I would hate to give up either. But it is an interesting question. Leadership is far more important at this point from Mason. KU has other good 3 point shooters (Graham, Selden, Greene, and possibly Svi), but they haven’t had a true on court general since Tyshawn and T-Rob. Elijah and Withey weren’t great leaders, Naadir Tharpe was a terrible leader, and Mason and Selden have yet to embrace that role and I do think that has played a not insignificant role in some of KU struggles in March the past 3 years. I was encouraged by what I saw out of Mason and Selden’s leadership skills in South Korea and I think that might the biggest contribution Nic Moore made to this team was showing those two how to be leaders since neither had seen good leadership during their time at KU. He committed to KU a few minutes ago. This isn’t the high profile signing that’s going to vault KU to a top ranked class. He’s a kid who’s ideally the 3rd big in the class who could develop into a solid role player by his 3rd or 4th year. He’s someone a redshirt would likely greatly benefit. He’s also someone that if he doesn’t show signs of developing into a contributor at KU, can be recruited over and encouraged to find better opportunities elsewhere. This isn’t a signing to jump for joy over, but it’s not one to dismiss either. My personal opinion of Lightfoot is that I can see him ending up in the 75ish range by the time the final rankings come out. He did go to invitation only camps this past summer which is an indicator that he could jump up the rankings. Jamari Traylor is one of those players who like Escobar on the Royals, the numbers don’t necessarily paint the most accurate picture of. Escobar’s numbers don’t add up to someone who should be hitting lead off as the announcers have mentioned all throughout the playoffs, but the Royals for whatever reason have been a better team with him hitting lead off. I think Jamari is a similar type player with a similar type impact on the team. His numbers don’t say he should get many minutes, yet those numbers don’t show his true value to the team because added value isn’t something that can quantified. @HighEliteMajor, I think area of your analysis I don’t always agree with is that you tend to depend too much on numbers as gospel which don’t always paint the whole picture. When Jamari plays with energy, I fully admit that isn’t always the case and when that happens he shouldn’t be anywhere near the floor, but when he does play with energy, KU is has always been a better team and he should be playing 15-20 minutes per game because it becomes diminishing returns after that point for players of his type, but occasionally he should play more when his actual production is there. He’s a guy that analytics guys like you who swear by advanced metrics hate (as a player, not a person) because his production says he shouldn’t play much, and eye test people love him because he’s an active player who impacts the game in ways that don’t show up on any stat sheets. I’ve always been more in the middle on this issue as there is absolutely a place for advanced stats in basketball and I use them on a regular basis, but there’s also still a lot of value in the eye test as well and the eye test on Traylor says he impacts the game more than the stats say. Do referees in a game have a “side”? Have you watched a Duke game in the past 15 years?